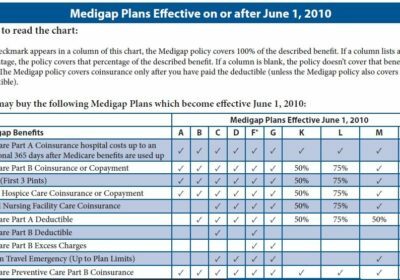 Massachusetts Medicare Supplemental plans help cover some of the costs not covered by Original Medicare (Part A and B). These policies are offered by private insurance companies and are not compatible with Medicare Advantage plans. If you are covered by Medicare Advantage, the policy must be canceled before your supplement policy goes into effect. The issue rights to buy a Medicare Supplement are guaranteed for Massachusetts residents who are currently enrolled in Original Medicare. However, Massachusetts Medicare Supplemental insurance policies are different from the national standardized policies. Your insurance company may offer a Core Plan or a Supplement 1 Plan. State mandated benefits, including yearly mammograms and Pap smear tests. 60 days per calendar year of inpatient care in mental facilities. 120 days per calendar year of inpatient care in mental facilities. Inpatient hospital deductible for Part A.
Coinsurance for skilled nursing facility for Part A. These are the standard benefits insurance companies must offer in the state of Massachusetts, but some insurers may include additional coverage for other services not covered by Medicare. The Open Enrollment Period (OEP) for Medicare Supplements in Massachusetts begins on the first day of the month after you turn 65 and are also enrolled in Medicare Part B. This time period will last a total of 6 months. Insurers are required by law to offer the same benefits for each of the plans, regardless of the age or health condition of the beneficiary. Once enrolled, the policy is guaranteed renewable. They cannot be cancelled, except in cases where policyholders stop paying the premium. MA Medicare Supplements plans are highly recommended for anyone currently enrolled in Medicare. Gaps in the coverage of Original Medicare can add up in the long term, costing sizable amounts of out-of-pocket charges. Supplement policies ensure that you’ll receive coverage for quality health care. Policies don’t include benefits for dental, so it’s important to pick up additional coverage for that. These policies don’t include vision or hearing benefits either.